Barnard Park started in the mid 1970s. Purpose built by the council on demolished housing the initial structures were built with the help from children using materials from demolition sites and telegraph poles, setting a record for erecting 18 poles in one day. 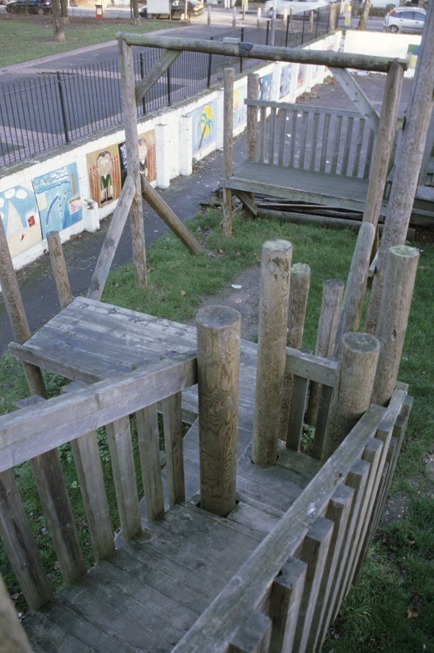 The playground is slightly altered every year and is distinctive in its extensive use of high walkways and ramps.